Losing a loved one due to another’s misconduct or reckless behavior is devastating. Fortunately, the state of Alabama allows a decedent’s estate to seek punitive damages which, while never wholly making up for your immeasurable loss, may at least result in justice. 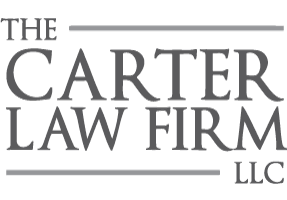 With more than three decades’ experience assisting Alabama families, The Carter Law Firm, LLC is here to help you move forward. Under Alabama state law, a wrongful death claim may be brought to a civil court even if no criminal charges have been filed against the defendant. This is an important distinction, as a wrongful death claim differs from a criminal case in a couple of ways. First, a wrongful death case is a civil claim brought forth by a private party (by contrast, a criminal case is filed by the state against a specific individual and/or entity). Additionally, liability in a civil case is expressed only in terms of monetary damages, whereas guilt in a criminal case may result in jail time. The state of Alabama allows only the personal representative of the decedent’s estate to file a wrongful death claim, and any and all damages awarded must be paid to the estate. Alabama’s wrongful death law is intended to punish a defendant who is found negligent, and to deter similar behavior by future parties. Any damages awarded in a wrongful death case are paid directly to the decedent’s heirs. In order to file a wrongful death claim in Alabama, the decedent must have passed away within the borders of the state. In other words, if the decedent passed away in another state, the laws of that state will apply to her or his wrongful death case. Keep in mind that any wrongful death claim in Alabama must be filed within two years of the death of the decedent. The Carter Law Firm, LLC assists families in Gardendale, Fultondale and throughout the state of Alabama with wrongful death cases. Call (205) 808-0002 now to speak directly to an attorney and schedule a free consultation.